Rachael runs 2 Traveling Dogs, a Dog Blog dedicated to raising awareness for animal rescue through the eyes of her rescue dogs…Peanut Butter Brickle and Digby Pancake. (love the names) She and her husband launched their website and Facebook page last year when they moved cross country from Lutz, Florida to Sonoma, California. 2 Traveling Dogs, which now has 8,000 fans, not only recorded their trip but cross posts animals in need on a daily basis. If you are wondering….YES! Pets have found forever homes because of the work of 2 Traveling Dogs. Soon after their move to Sonoma, the economy took its toll and life circumstances led the pack to make the 3,500 mile journey back to Lutz. This was the start of something new. In fact, Digby and Brickle loved being in the moving truck and Rachael got to share with 2 Traveling Dogs’ fans that moving and traveling with two rescue dogs was one of the best experiences of her pack’s life. 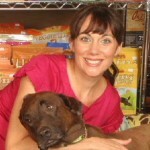 Once settled, Rachael became concerned with pet food and pet treat recalls and began researching what she was feeding Brickle and Digby. She knew she could do better, so began making all their food and treats. This caught on and many of her friends asked her to make food for their dogs. 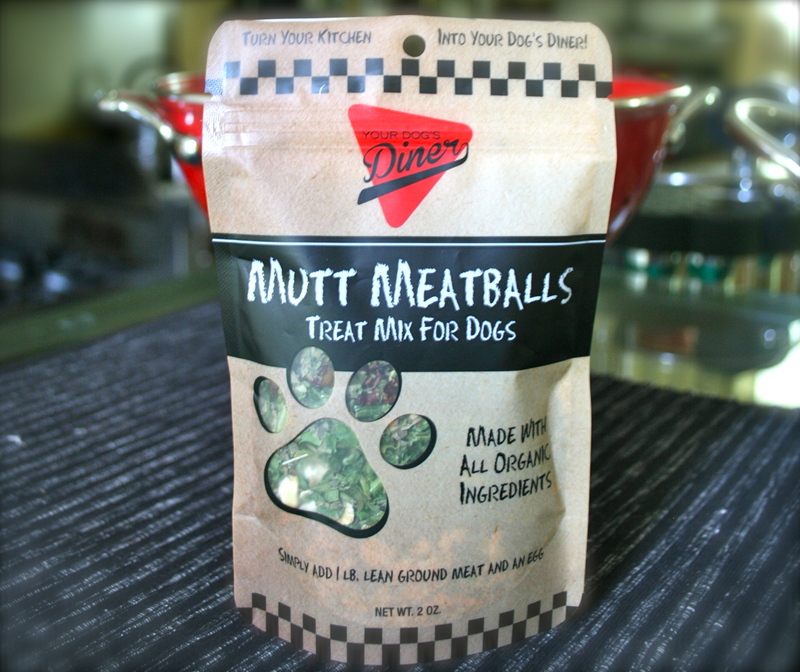 Thus, Rachael found her calling and started Your Dog’s Diner which currently has two product offerings: Mutt Soup Mix and Mutt Meatballs Treat Mix. Both are made with organic and natural ingredients. Simply add fresh meat and you “Turn Your Kitchen Into Your Dog’s Diner!”. 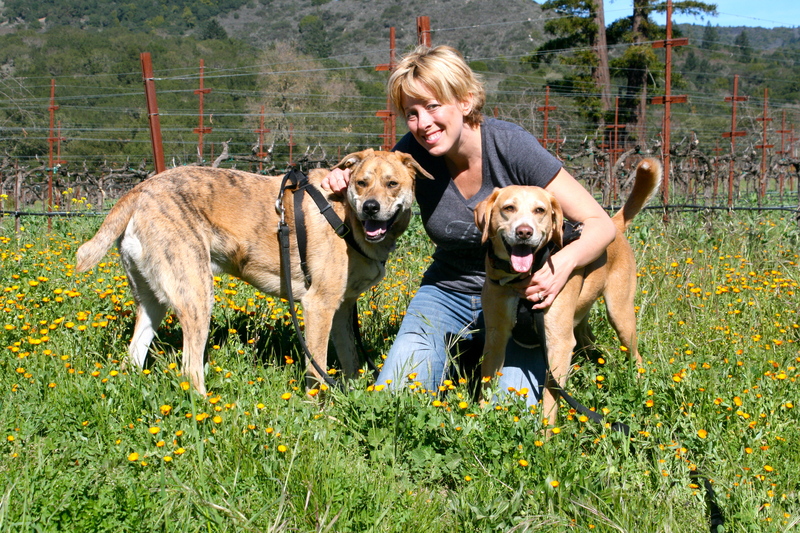 Rachael: My pack includes me, my husband of almost 18 years (known as Boy Person to 2 Traveling Dogs fans), our two rescue dogs Digby Pancake and Peanut Butter Brickle and our four chickens, Eagle, Pecky-Pecky, Izzy and Sonoma. Rachael: As our name tells you, our dogs LOVE to travel. I make it a point every day to take them somewhere. 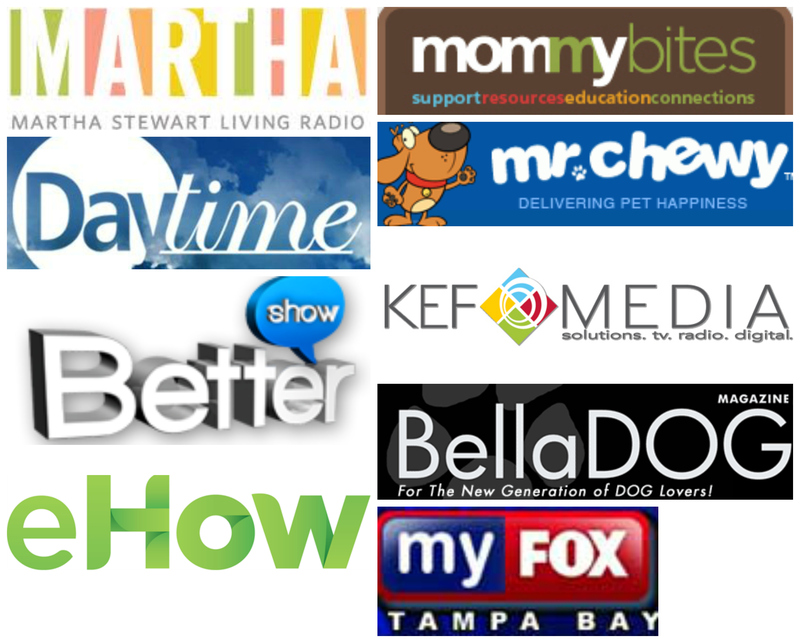 Tampa and our surrounding areas have many hidden and less known places to take your dog. We are having fun trying to find them and can’t wait to show you! PM: What is in their bowl? 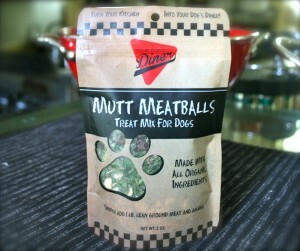 Rachael: Homemade dog food…of course! Ground, lean, organic beef mixed with veggies and ground egg shells for calcium. Rachael: My purse is a mess! Let’s see…an empty wallet (blame that on a new business), business cards, keys, gum and old dog bones from the bank drive thru, which they refused to eat! I didn’t cook it! PM: What is on your Ipod/Ipad? 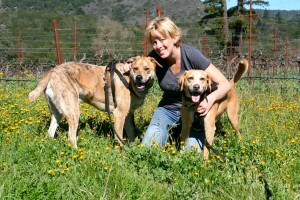 Rachael: I am a Florida girl, born and raised in Lutz, but moved to Sonoma, California briefly last year. I began to like country music, salsa and all of course bluegrass because I play the banjo. Elvis is always a good choice and my favorite group, The Hackensaw Boys. Rachael: I don’t balance it all. Some days I get what I need to done and most days I don’t. I make room for the most important things which are my pack. Going somewhere everyday is great exercise, keeps my pack calm, and allows me time to work. Food is very important to us, so we make time for dinner together. Having a new business, Your Dog’s Diner is hard, but my goal of having a job where I can be with my family drives me forward every day. Rachael: Don’t be too hard on yourself. I don’t have the best behaved dogs. They have issues as many rescues do, but guess what? So do I! We learn to deal with things as they come, but sometimes we need a break to regroup. Take time for yourself, even if you have 15 minutes away from your pack…(gasp!). And if I have any words of wisdom to share, it would be to think beyond breed. Make Rescues the Breed of Choice! Yes, that is our goal above anything else! Thanks Rachael! You are a mom after our own heart!